Laissez le bon temps rouler, everyone. That’s French for “Let the Good Times Roll.” It’s a phrase that gets thrown around a lot at this time of year, as it’s usually the time for Mardi Gras. I have never been to a Mardi Gras celebration. Unfortunately, I’ve never even been to Louisiana. I do really like Cajun food, though. For now I guess that’s as close as I’m going to get. Gumbo, jambalya, beignets, and pecan pralines are just a few of the things that come to mind when it comes to Mardi Gras food, or Cajun food itself. There’s also a little dessert called King Cake that gets associated with both, and will be the focus of today’s post. It may be called a ‘Cake’, but I prefer to think of King Cake as a very enriched delicious sweet bread that’s filled with delicious sweet stuff. The fillings can range from cinnamon sugar and pecans, cream cheese, marzipan, or fruit. The most common is cinnamon sugar with pecans. The top of the cake is drizzled with a thin glaze or icing, then showered in purple, green and yellow sprinkles–the common colors of Mardi Gras. Most King Cakes are filled with a small plastic baby to signify the Baby Jesus. The person who finds the ‘Baby King’ in their piece of cake is supposed to have a lucky year. I made my first King Cake two years ago. I kept things simple, with a twist, and filled it with chocolate. I didn’t get around to making one last year, so I knew that going into this year I was going to be sure I didn’t make that mistake again. I did want to shake things up and make it a different way than I did before. I also wanted to do more than just a cinnamon sugar-pecan filling. I have one complaint with a lot of the cinnamon sugar fillings in bread that both I’ve seen, and tried : the cinnamon sugar often ends up getting absorbed into the dough while baking, and by the time all is done, there’s not much of it left. I wanted this King Cake to be truly decadent and full of…filling by the time it was finished baking. I found a recipe for a King Cake that does just that on LemonBaby.co. The filling in Amanda’s recipe is made from a mix of melted butter, cream cheese and brown sugar and toasted pecans. The dairy gets simmered together with the sugar until it forms a smooth sweet sticky spread, then the nuts get mixed in just before it all is slathered on the risen dough. Most King Cakes are shaped into rings, but for this one I choose to make a loose braid that I then wound into one big mass. Feel free to do whatever you like with this one in shaping. Huge props to Amanda for this recipe. It was EXACTLY what I was looking for. The pecan praline filling doesn’t get absorbed by the dough at all during baking, and the cream cheese gives it a nice tang of flavor to counterbalance all the other sweetness that goes on in a King Cake. It would pair perfectly in the morning with a cup of coffee. King Cake requires some time, but the effort is definitely more than worth it. Pour the warm milk into a glass measuring bowl. Sprinkle the yeast on top, then sprinkle the one tablespoon of sugar on top of that. Allow to sit for 10 minutes until proofed and frothy. Stir together the flour, cinnamon and salt in a medium size bowl and set aside. Pour the yeast-water mixture into the bowl of a standing mixer fitted with the paddle attachment. Add the melted butter, egg yolks, and vanilla extract and mix on medium until combined. Switch to the dough hook and add the flour mixture gradually, in about three increments, mixing on medium speed just until the dough begins to come together around the hook. Once it has, turn off the mixer and scrape the dough out onto a clean work surface that you’ve sprinkled with flour (like a pastry mat or a smooth countertop). Use your hands to firmly knead the dough until it is smooth and elastic, about 10-12 minutes. You can use additional flour (about 1/4 cup at a time) if it’s still too sticky; I also prefer to rub my hands with canola, olive or vegetable oil before kneading and that helps a lot without having to add more flour. Grease the bottom and sides of the mixing bowl and place the dough inside. Cover with plastic wrap and a damp kitchen towel and allow it to rest until doubled in size, 1 1/2 hours–2 hours. Meanwhile, make the filling: in a medium saucepan, melt the butter with the cream cheese over medium heat. Stir in the brown sugar with a wire whisk. When the mixture starts to bubble, immediately remove from the heat and stir in the pecans. Set aside to cool completely. When dough is finished rising, turn out onto a clean work surface and punch down to deflate air bubbles. Gently stretch the braid so that it measures 20 inches again. Shape it into a circle/oval and press the edges together. Use the edges of the parchment paper to lift and transfer the cake to a large sheet pan (preferably one without sides). Cover with a piece of plastic wrap and a damp kitchen towel and allow to rise until puffy, about 45-50 minutes. Preheat oven to 375 degrees Fahrenheit. Whisk the one egg together with the tablespoon of water in a small bowl and brush egg wash all over the top of the cake with a pastry brush. Bake for 45-50 minutes until golden brown. (You may have to cover it with foil if it starts to brown too quickly.) Inner temp of the bread should be 200-205 Degrees Fahrenheit. Allow to cool completely on a wire rack. To make icing, stir powdered sugar and a few tablespoons of milk at a time together in a bowl with a fork. Add enough of the milk until it reaches the consistency that you like. Use a fork to drizzle over the top of the King Cake. Sprinkle the purple, green and yellow sanding sugar on top in a pattern. Allow to sit for about one hour until the icing has dried. Sharing at this week’s Fiesta Friday #264, co-hosted this week by Angie and Mollie @ Frugal Hausfrau. I hope you all had a great holiday season that was filled with great food, relaxation and time spent with loved ones. It’s crazy that we’ve already left 2018 behind. I have a lot of optimism that 2019 will be a good year with lots of much needed change. After I finished the 12 Days of Christmas, I needed a wee break to recoup from all that baking. I’ve got my rest and I’m ready to get back into the swing of things. So, let’s start this year’s recipes off the right way, shall we? I’ve spoken before on here about my love for ginger. You can search the Recipe Index for the various recipes I’ve used it in in; it’s a great ingredient. There are a lot of uses to be found for it and lately, I’ve always seemed to have a stalk or 2 of it in my fridge. Ground ginger often finds its way into desserts like gingerbread, but my favorite way to use and eat it is when it’s been candied/crystallized. The only downside to candied and crystallized ginger is that most of the time, it doesn’t run cheap in the stores. In my opinion at least, it’s often overpriced. Not to worry though. There’s an easy way around that. You can always just make your own. It’s easy. It’s MUCH more inexpensive. It’s worth it. (Check out my instagram now for the step by step instructions) And when you’ve finished looking that over (and after you’ve made some crystallized ginger for yourself), come back here and check out today’s recipe. Trust me, we’re going to put it to good use. The recipe uses ginger in two ways: ground ginger that gets sifted in with the other dry ingredients, and crystallized ginger that gets steeped in milk for a few minutes. Both the ginger and the ginger flavored milk are then mixed into the batter.With six eggs in it, this is going to be one very tall cake. If you’re not sure if your bundt pan can fit up to 16 cups, then I’d recommend splitting it between two loaf pans, just to be on the safe side. The texture of this cake is sublime. It’s rich, buttery and moist enough to where you could eat it plain and still be totally satisified–or go the extra mile and throw on the ginger flavored icing. Combined with the richness of the cake itself, the ginger here adds a spicy sweet flavor that’s got great bite, but still isn’t overpowering. I really enjoyed this cake and I think you will too. Preheat oven to 325 degrees Fahrenheit. Grease and flour a 16 cup (10 inch) Bundt or tube pan. Simmer milk and ginger together in a small saucepan over medium heat for 5-7 minutes, until thoroughly heated. (Don’t let it boil.) Remove from the heat and let it stand for 10-15 minutes. Add the vanilla extract to the milk. Stir together the flour with the ground ginger in a bowl with a fork, and set aside. Add the flour to the butter mixer alternatively with the milk (begin and end with the flour). Beat at a low speed, just until combined after each addition. Pour the batter into the cake pan. Lift and tap it down on the counter a few times (this will prevent air bubbles from forming). Place the cake pan on a sheet pan, then bake on the middle rack of the oven for 1 hour and 25 minutes, or until a wooden skewer inserted in the center comes out clean and cake reaches an inner temp of 205-210 degrees Fahrenheit. Stir together the ingredients for the icing together in a bowl. It shouldn’t be too runny, just loose enough to drizzle. Use the tines of a fork to drizzle the icing over the cake in a decorative design. Allow to to sit for about 30 minutes, just until icing has set. Serve with ice cream or whipped cream. Sharing at Fiesta Friday #257, co-hosted this week by Suzanne @apuginthekitchen and Kat @ Kat’s 9 Lives. In last week’s post I said that rather than wait for the autumn weather to kick in before I started posting ‘autumn recipes’ and comfort food, I would just start baking & posting autumn recipes and let the weather catch up to me later. This week, the temperature dropped around 10-15 degrees in our area. Iiiiiiiii would like to think I had a thing or two to do with it. The weather is cooling down because it’s trying to align with my autumn baking. What can I say except, you’re welcome? This week’s recipe happened because of a tale as old as time. Girl goes to store. Girl buys green bananas, thinking she has plenty of time to eat them. One days passes. Bananas are still green. Two days pass. Bananas are just barely starting to yellow. Three days pass. Bananas are ripe. Too ripe to eat. Girl is now stuck with four overripe bananas. I guess ‘stuck’ is a little harsh. Bakers know that overripe bananas are really a blessing in disguise–they give you an excuse to put a healthy fruit into a not-as-healthy baked treat. Oftentimes, that treat is banana bread. Banana bread is great and easy, as are banana muffins. This time around though, I decided to try to go with something a bit different than what I was used to. It’s not too much more difficult than the bread or muffins, but I’ll tell you what: it IS a good deal greater. One of the reasons that I love using bananas in cake is that they lend themselves really really well to cake batter. Why? Because the fat and moisture content in them helps keep the finished cake INCREDIBLY moist. So long as you’re using overly ripe bananas, it’s going to be quite difficult to overbake/dry that sucka out. This is a perfectly delicious banana cake all on its own. It’s then made even more delicious by a ribbon of vanilla cream cheese filling that gets poured on top of half the batter, then the other half of the batter is poured on top of that. The smells alone as it bakes are glorious. As for the taste…you can probably guess. What can I say except…you’re welcome? Preheat oven to 325 degrees Fahrenheit. Grease and flour a 12 cup Bundt or tube pan and set aside. In a measuring cup or small bowl, pour the milk, vanilla extract and lemon juice together and set aside. In a medium sized bowl, combine the flour with the baking soda and salt. Stir together with a fork and set aside. In the bowl of a standing mixer (or using a handheld one) use the paddle attachment to cream together the butter and sugar until light and fluffy. Add the eggs, one at a time, mixing just until the yellow disappears. Use a spatula to scrape down the sides of the bowl as you go to ensure even mixing. Add the mashed bananas, stirring just until combined. With mixer on low speed, gradually beat dry ingredients and milk mixture alternately into batter. (Start and end with the flour mixture) Beat for 1 minute. Remove batter to a bowl. Beat the cream cheese in the standing mixer bowl until it’s smooth. Add the egg and vanilla, stirring just until combined. Pour half the batter into the tube pan. Use a teaspoon to spoon the cream cheese filling evenly around the center of the cake batter. Carefully spoon remaining cake batter over filling, covering completely. Bake for 45-50 minutes or until top is brown and springs back lightly when touched. Remove from oven and cool in pan for 10 minutes before inverting onto cake plate. For the icing, combine the powdered sugar with enough milk until it forms a smooth but still somewhat thick icing. Use a fork to drizzle over the cake. Allow to sit for about 30 minutes, until hardened. Linking up to Fiesta Friday #247, co-hosted this week by Antonia @ Zoale.com and Laurena @ Life Diet Health. Last week was really hot in my area and I went on a mini-rant about how over it I was. 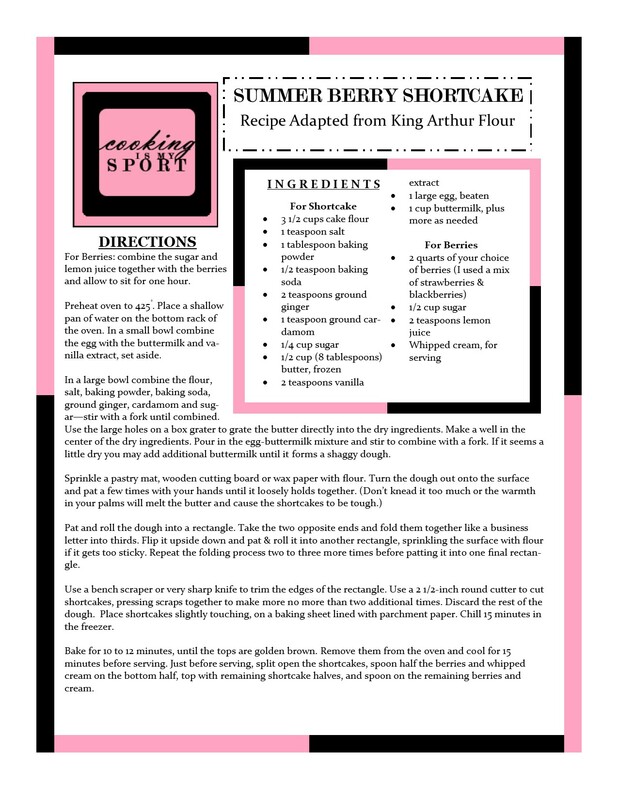 I shared a recipe that was geared towards warmer weather. This week, it’s a tad bit cooler, but still warm. But you know what? I’m gonna go ahead and share a recipe that is right up the alley of autumn anyway, because I just can’t wait any longer. Maybe if I put out autumn foods more, it’ll attract more autumn weather to where we are–or not, but I can at least try. And even if it doesn’t bring the autumn vibes my way, I’m still sending good food vibes y’alls way no matter what the weather looks like in your part of the world. I know at this time of year everyone loves to throw pumpkin into everything. Personally, I think pumpkin spice is overrated. And when it comes baking, I actually like to take a recipe that calls for pumpkin and swap it right out for sweet potato. When they’re roasted & mashed, pumpkin, sweet potatoes, yams, and even butternut/kabocha squash take on a very similar consistency. The flavors are different, but they function the same way scientifically during the baking process. So, what I did here is incorporate a roasted/mashed sweet potato into a pound cake recipe, then added a lot of the autumn spices that are usually given to pumpkin baked goods. The orange zest is there to give it a boost of freshness. If you prefer to use pumpkin, butternut or kabocha squash instead, that’s fine. I promise it won’t mess anything up. Apart from the flavor, the sweet potato keeps the cake itself really moist. The spices complement the sweet potato and give your taste buds a hug. They don’t need any help from a sweet icing and I’m glad that I followed my instincts and didn’t try to give them any. This is autumn in one delicious bite. Or several, depending on how much of it you eat. And I think you’ll eat plenty. Preheat oven to 350 degrees Fahrenheit. Grease and flour a 12 cup Bundt pan (or two 9 inch cake pans) and set aside. In a medium size bowl combine the flour, baking powder, baking soda, salt and spices together. Stir with a fork until combined, then set aside. In a glass measuring cup combine the milk with the vanilla extract and set aside. Add the mashed potatoes and orange zest, mixing just until combined. Spoon the batter into the cake pan(s). Bake for 45-50 minutes, or until toothpick inserted in center comes out clean. Allow to cool in the pan on a wire rack for about 20 minutes, then turn the cake out of the pan and allow to cool completely. Sharing at this week’s Fiesta Friday #246, co-hosted this week, by Mollie @ The Frugal Hausfrau and Mila @ Milkandbun. I am now in the last year of my twenties, and it feels odd. I’m not sure how old I feel exactly, but it isn’t one year shy of 30. But regardless of how I feel, this is where I’m at. My birthday usually passes without much celebration or fanfare and I’m fine with that. There is however, one celebratory act that since I learned to cook/bake, does happen every year without fail. I bake myself a cake. *Could* I just buy some cake from a bakery or a store? Sure. *Could* I ask a relative or friend to bake one for me? Of course. But see, here’s the thing: nowhere I could buy it from and nobody I could ask (with the exception of my grandma) could bake me a better cake than the one that EYE would bake. I’m not even bragging. Those are just facts. So, I do it myself. And I must say, I don’t disappoint. These are some of the cakes I’ve made for my birthdays over the past few years on the blog: there’s this one. And this one. This one was *especially* good. And I still fantasize about this one. I’m just good at birthday cakes. And this year was no exception. The very first cake that I fell in love with as a kid was a plain old vanilla cake. When it’s done well, there’s just nothing like it in the world. I had a lot of options for this year, but ultimately I decided to just go with that: a really, really good grown up vanilla layer cake. How do you guys think I did? The cake itself is flavored with both vanilla AND almond extract. The almond may seem like a surprise addition, but trust me: that’s what’s going to give it that little extra ‘something’ that would make you swear it was made in a bakery and not your own kitchen. To make the cake more ‘grown up’ and to cut down on the sweetness of the vanilla buttercream, I decided to include a tart fruit filling. I had a jar of ligonberry preserves from IKEA that I was itching to try and as ligonberries remind me of a very sweet cranberry, I thought they would pair very well with strawberries. I was right. This cake was so good. It was a delicious birthday present to myself & I guarantee that it will make a delicious present to anyone you decide to make it for–yourself included. Preheat oven to 350 degrees Fahrenheit. Grease and flour four 2 inch cake pans and set aside. In a medium sized bowl, combine the flour with the baking powder, and salt. Stir with a fork and set aside. In a small bowl combine the buttermilk with the vanilla extract and set aside. Using the paddle attachment of a standing mixer (or a handheld one) cream together butter and sugar until light and fluffy. Add the eggs one at a time, beating just until blended after each addition. Alternate between adding the dry ingredients to the butter mixture with the wet ingredients. Start and end with the flour mixture, and make sure you use a rubber spatula to scrape down the sides of the bowl to ensure even mixing. Divide evenly between the two cake pans on the middle rack of the oven for 32 to 36 minutes. (Cake is done at an inner temp of 190-195 degrees Fahrenheit). Cool in pans on wire rack for 10 minutes. Remove from pans and to wire rack and cool completely (about 1 hour). For Buttercream Frosting: Beat together the butter, vanilla and salt until creamy. Gradually add the powdered sugar, alternating with the milk 1 tablespoon at a time, beating at a low speed until blended and smooth after each addition until it reaches your desired consistency. To assemble: Level the tops of each cake. Line the edges of a cake platter with strips of parchment paper to keep the platter clean while you assemble the cake. Place one cake layer on the platter. Pipe a border of frosting around the edges of the cake. Spread the layer with about 2/3 cup of buttercream. Top with first the sliced strawberries, then spread the preserves on top of that with the spatula. Top with the remaining cake layer. Spread entire cake with just enough frosting over the top and sides to make a crumb coat. (It should be thin). Refrigerate cake for one hour until the crumb coat is firm. Finish spreading the remainder of the frosting on the cake. Refrigerate for an additional hour, just to let buttercream firm up. Remove the parchment strips from the platter before serving. Linking to this week’s Fiesta Friday #243, co-hosted this week by Catherine @ Kunstkitchen’s Blog and Becky @ Bubbly Bee. So a couple weeks ago after dinner, I got this crazy hankering for shortcake. I really, really, REALLY wanted it. I know that when a lot of ‘y’all think of shortcake you think of those spongy pre-made mini ‘dessert shells’ with the indent that you can find in the produce section of the grocery store near the strawberries. Y’know the dessert shells that should really just get called by their true name: sponge cake. I’ve seen some that are just straight up angel food cakes. Not that I have a problem with them per se. There’s no judgment here; depending on the company, those can actually be pretty tasty. But that’s not what I’m talking about here. In the first place, sponge cake isn’t shortcake. It’s light and airy and spongy. It’s…sponge cake. All of the above adjectives contradict shortcake by it’s very definition. Shortcakes are actually very similar to an American-style biscuit, both in texture and the baking method. In a sponge cake, egg whites are beaten until they’re stiff to make the crumb as light as possible. The point of a ‘short’cake, is actually to make a ‘shorter’, denser crumb. If you’ve tried any of my biscuit recipes on the blog already, then this ,method will look very familiar to you. The frozen butter (and we’ve already established why it’s important that it is frozen) is grated directly into the dry ingredients. I used cake flour to give it the best texture, then in addition to the sugar, flavored the dough with vanilla, ground ginger and cardamom. The spices aren’t overpowering–they’re just going to give the shortcakes a little something extra flavor-wise. You’re going to like it, promise. The result is a shortcake that has just the right texture. It is slightly dense, but it’s also buttery and tender, with enough height to split it in two and sandwich with the good stuff. Now what that ‘good stuff’ is, I’m going to leave entirely up to you. This is summertime, which means there are plenty of delicious fruits that are in season that are perfect for shortcake; strawberries, blackberries, peaches, apricots. All are excellent choices. I went with the strawberries and blackberries, but it’s your shortcake so go with what you like best. And of course y’all know to make/use a ton of good whipped cream to cram inside and dollop on top. It’s the summer–get downright nasty with it. Linking this up to this week’s Fiesta Friday #230, co-hosted this week by Diann @ Of Goats and Greens. For Berries: combine the sugar and lemon juice together with the berries and allow to sit for one hour. Preheat oven to 425°. Place a shallow pan of water on the bottom rack of the oven. In a small bowl combine the egg with the buttermilk and vanilla extract, set aside. In a large bowl combine the flour, salt, baking powder, baking soda, ground ginger, cardamom and sugar—stir with a fork until combined. Use the large holes on a box grater to grate the butter directly into the dry ingredients. Make a well in the center of the dry ingredients. Pour in the egg-buttermilk mixture and stir to combine with a fork. If it seems a little dry you may add additional buttermilk until it forms a shaggy dough. Use a bench scraper or very sharp knife to trim the edges of the rectangle. Use a 2 1/2-inch round cutter to cut shortcakes, pressing scraps together to make more no more than two additional times. Discard the rest of the dough. Place shortcakes slightly touching, on a baking sheet lined with parchment paper. Chill 15 minutes in the freezer. Bake for 10 to 12 minutes, until the tops are golden brown. Remove them from the oven and cool for 15 minutes before serving. Just before serving, split open the shortcakes, spoon half the berries and whipped cream on the bottom half, top with remaining shortcake halves, and spoon on the remaining berries and cream. I am so very, very, very excited. I’m practically bursting at the seams. As I’m writing this post right now, I’m beaming from ear to ear. Do y’all know what is coming next week? Do you KNOW? It’s probably the best thing to happen all year. I know it’s a just single day, but oh what a day it is going to be. It’s not even here yet, but I still know there will be much joy and excitement to spread all around. It’s also a day where a ton of money is going to be spent and made. Any guesses yet? Yep. You’re absolutely right. Marvel’s “Black Panther” movie is being released in the United States on February 16th. Let me say that again. Marvel’s “Black Panther” movie is being released in the United States on February 16th. Y’all. Excited isn’t even the word. Ever since news dropped that this movie was being made over a year ago, I’ve been so ready to see it. The cast alone is a winner: Forest Whittaker (who is my favorite actor, by the way. I’d watch him perform on an empty stage in a paper bag, riveted), Angela Bassett, Chadwick Boseman, Lupita Nyong’o, Michael B Jordan. I’ve waited patiently (and sometimes not so patiently), keeping up with the updates, watching the trailers repeatedly, ogling over the posters–and now, we’re finally here right before I get to see it. We pre-bought our tickets, so I will be right there at the theater next Friday afternoon, front and center. I know it’s going to be fantastic. Any of y’all here in the States going to see it on Friday or later that weekend? You as pumped to see it as I am? So far as I’m concerned, it’s the most important thing that’s going to be happening next week. Oh yeah, I almost forgot. Valentine’s Day is next week too. And since I did go to the trouble to make this cake, I guess we can talk about it for a few minutes. 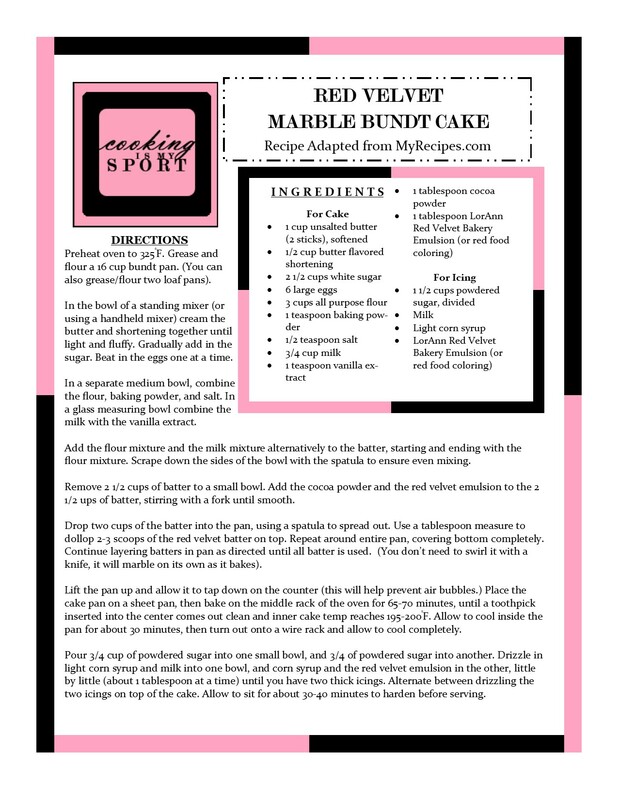 I’ve made it a habit to bake something Red-velvet flavored for Valentine’s Day on the blog for a few years now and I figured that I may as well keep with the tradition this year. In a way I was kinda excited about making the cake because it would let me test out a new ingredient I’d recently bought and been itching to try out: the LorAnn Red Velvet Bakery Emulsion. LorAnn Oils is a company that has a pretty big collection of baking flavorings and extracts. I’ve heard nothing but good things about them and my first purchase was the Red Velvet emulsion, which is supposed to mimic red velvet flavor. I was curious as to what specifically a ‘red velvet’ flavor emulsion would taste like. My guess was that it would just be a rich chocolate, but the flavor of it is more complex than that. There’s definitely chocolate in the first taste you get, but in the aftertaste you could almost swear there’s a tang in there that could pass for cream cheese. I have no idea how the LorAnn food scientists who cooked this stuff up managed to do that, but my hat’s off to em. I put the emulsion to good use in this cake by flavoring about a third of the vanilla batter with it, then layering it in the pan. There was no need to use a knife to marble/swirl the batters–the swirl design took care of itself while baking. I then went ahead and topped it with a plain white icing paired with an icing I flavored with more of the red velvet emulsion. Turned out pretty, didn’t it? Happy weekend/Fiesta Friday#210, (co-hosted by Laurena @ Life Diet Health and Jhuls @ The Not So Creative Cook)/Valentine’s Day y’all. More importantly, just one more week til Black Panther! Preheat oven to 325°F. Grease and flour a 16 cup bundt pan. (You can also grease/flour two loaf pans but it will shorten your baking time). In the bowl of a standing mixer (or using a handheld mixer) cream the butter and shortening together until light and fluffy. Gradually add in the sugar. Beat in the eggs one at a time. In a separate medium bowl, combine the flour, baking powder, and salt. In a glass measuring bowl combine the milk with the vanilla extract. Add the flour mixture and the milk mixture alternatively to the batter, starting and ending with the flour mixture. Scrape down the sides of the bowl with the spatula to ensure even mixing. Remove 2 1/2 cups of batter to a small bowl. Add the cocoa powder and the red velvet emulsion to the 2 1/2 ups of batter, stirring with a fork until smooth. Drop two cups of the batter into the pan, using a spatula to spread out. Use a tablespoon measure to dollop 2-3 scoops of the red velvet batter on top. Repeat around entire pan, covering bottom completely. Continue layering batters in pan as directed until all batter is used. (You don’t need to swirl it with a knife, it will marble on its own as it bakes). Lift the pan up and allow it to tap down on the counter (this will help prevent air bubbles.) Place the cake pan on a sheet pan, then bake on the middle rack of the oven for 65-70 minutes, until a toothpick inserted into the center comes out clean and inner cake temp reaches 195-200°F. Allow to cool inside the pan for about 30 minutes, then turn out onto a wire rack and allow to cool completely. Pour 3/4 cup of powdered sugar into one small bowl, and 3/4 of powdered sugar into another. Drizzle in light corn syrup and milk into one bowl, and corn syrup and the red velvet emulsion in the other, little by little (about 1 tablespoon at a time) until you have two thick icings. Alternate between drizzling the two icings on top of the cake. Allow to sit for about 30-40 minutes to harden before serving.